Children Safeguard – Makeblock MBot Bluetooth v1.1 comes with a casing specially designed for protecting main control board. Meanwhile, the casing is atomized to safeguard children’s eyes from the glare of the onboard LED. 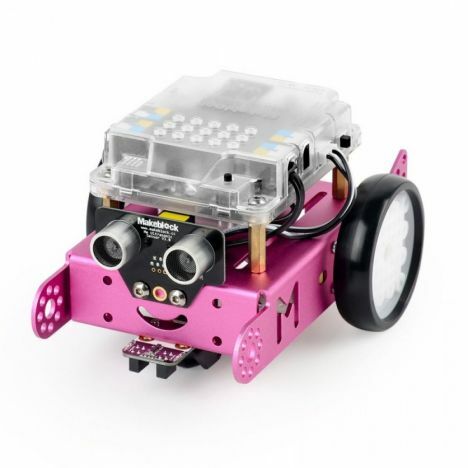 Makeblock MBot Bluetooth is an all-in-one solution to enjoy the hands-on experience of programming, electronics, and robotics. Working with mBlock inspired by Scratch 2.0, connecting with computers or smart devices via Bluetooth, this easy-to-assemble mBot provides infinite possibilities for you to learn STEM (Science, Technology, Engineering, Mathematics).